Glendale Arizona a community that has everything! Are you ready to move to Glendale? HomeSmart offers Hometown Realty Services for Glendale. What’s special about #Glendale Arizona? Well I could quote some facts and figures about Glendale’s History, the sports district and how it started out as an agricultural town. But does that really tell you about the city, the communities within the city or the people who live in Glendale? Not really, instead I’d like to mention that I’ve live in Glendale for over 35 years off and on starting when I first moved here from Michigan. At that time, as a college student I was not concerned with homes for sale or real estate in Arizona. I lived in an apartment complex in Glendale at first while attending Glendale Community College and enjoying all the benefits of living near Phoenix and the nightlife it offered. One of the best aspects of Glendale is it’s small town appeal, close knit neighborhoods and the ability to travel around the Valley to other cities easily with the 101 loop freeway to attend events. In the fall and spring there are so many events you can attend. It’s really fun, family oriented and allows you to enjoy different cultural activites. I’ve been living near the center of Glendale and the Community College area for the past 25 years or more. I found that the Peoria School District and teachers were very good and I liked the “Hometown” feeling of Glendale. I think the goal of the city, of Glendale has been achieved with the local parks where families get out and walk their dog(s), play soccer, football or basketball and the play areas with swings for the younger children, also. I look around my neighborhood and see people walking, riding their bikes, taking their dog for a walk or heading off to school and I feel it’s a safe place to live. It’s like a small city within a big city, giving Glendale AZ the small town appeal but at the same time offering so much more especially with such close proximity to Phoenix, Arizona. I’m lucky enough to live nearby the local Post Office, there is a Coffee shop just a mile away, several stores including Target and Walgreens, restaurants, 3 or 4 pizza shops, the Library and plus there are several small parks and a very large park that has seasonal events that is within walking distance of my home. 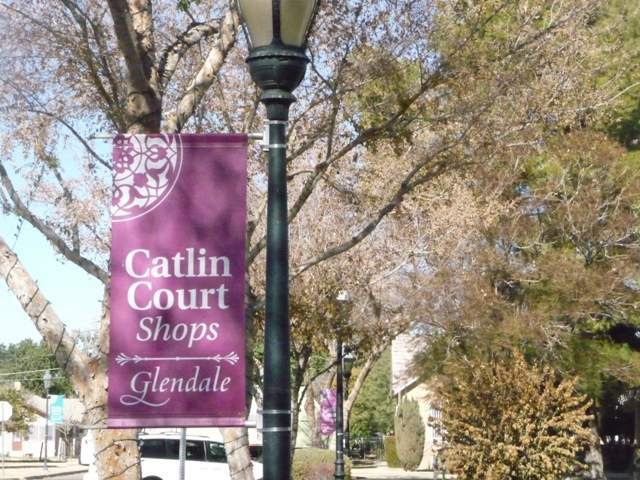 Most of Glendale is built the same way with local hangouts, shopping, hair stylists, gyms and such close by giving a neighborhood home-town feel to the city of Glendale. Do you love hiking and the outdoors? If I want to go hiking I can travel a few miles to the Thunderbird Park which has several trails or about 20 miles of hiking trails. I can go skating at Thunderbird Paseo Park or biking along the Skunk Creek Linear Park trail which also has a couple of larger play ground areas and centrally located in Glendale. Nearby is the Thunderbird hospital which also has different office buildings including medical offices, dental offices and more. If you are from a little town and considering a move to Glendale you will love how easy it is to find the local bank, post office and your favorite places to eat or hang out. I just noticed today a new cupcake shop and pizza place showing how local businesses are starting to thrive and grow. If you are considering a move to Arizona then Glendale may be the right place to look for homes for sale in Arizona. Give me a call – I’m happy to help you become a new Glendale neighbor. 602-422-5444. There are different grocery stores such as Fry’s, Safeway, Sprouts, plus Nutrition and vitamin stores, Petsmart, Lowe’s, Ace Hardware and Home Depot for all of your weekend warrior projects. But it’s not just the shopping that makes Glendale special; it’s the people who live there that are so friendly. Glendale is unique in its focus on sports and it’s antique District downtown which revitalized the downtown area and with the renovations has given it the city a charm all its own. There are quaint shops which offer Craft Stores, Fashion, an Ice Cream Parlor and massage, tea shops and a shop called Bears N More which is a favorite of my moms. For those of you looking for a little night life you shouldn’t miss out on Glendale Westgate Entertainment District.